A stylish and elegant necklace and earring set. 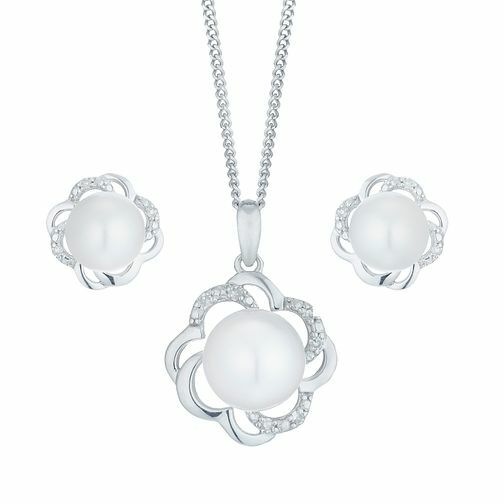 Features a shimmering cultured freshwater pearl, delicately embraced in a 9ct white gold flower design with a touch of diamond embellishment. Complete with a matching pair of stud earrings, this set combines classic style with a contemporary design.